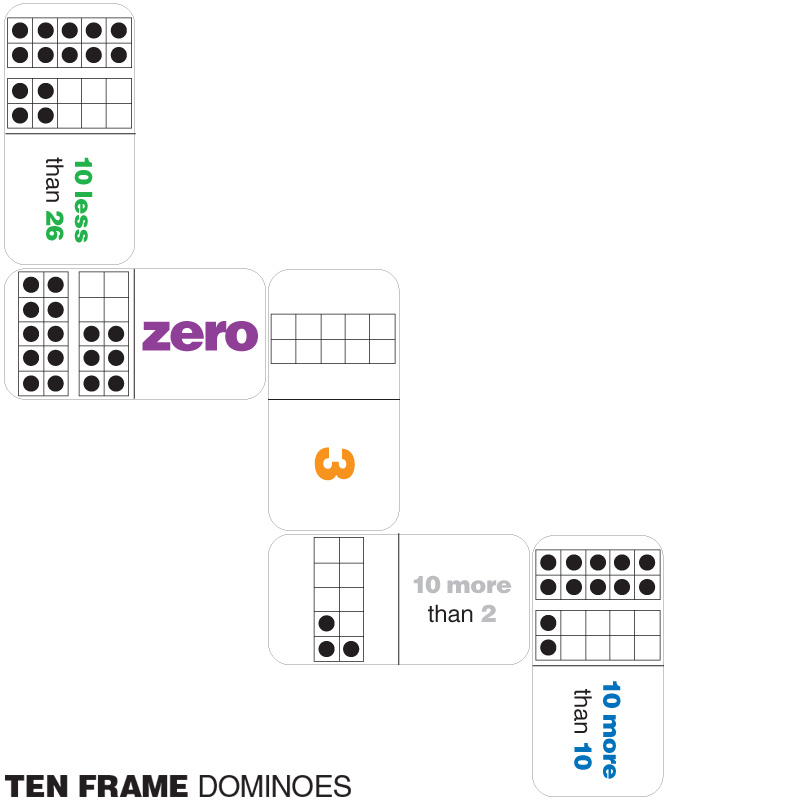 Oversized Ten Frame Dominoes, I made these so kids could improve their number sense, understand base ten, and have fun while doing so! 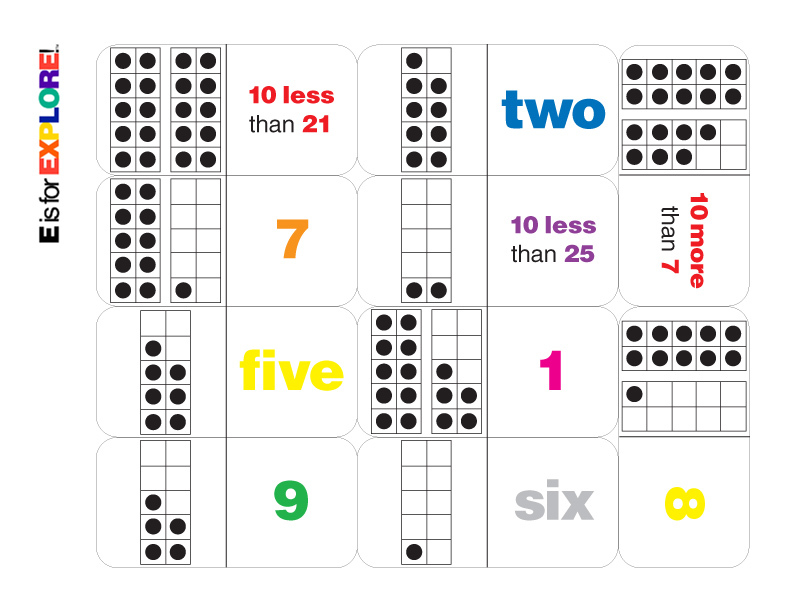 Kids twist and turn dominoes, matching numerals to ten frames. 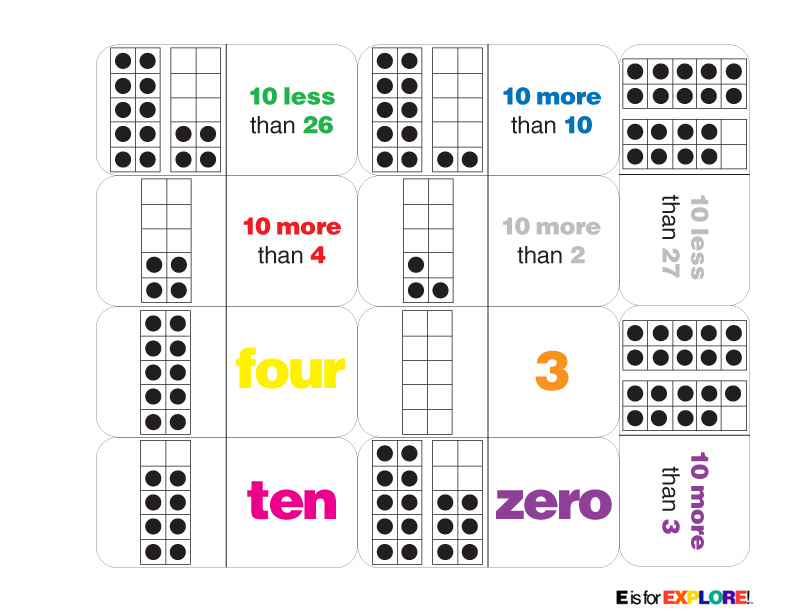 Just save the images on to your desktop. They are print ready on 8.5 x 11 paper with 1/2 inch margins. Print on cardstock paper and cover with contact paper to preserve them.